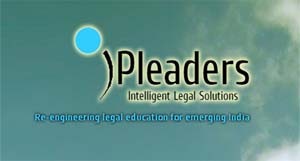 iPleaders consists of a team of lawyers on a mission to figure out ways to make law more accessible. While the lack of access to affordable and timely legal support cuts across all sectors, classes and people in India, where it is missed most, surprisingly, are the business situations. The concept of business lawyers is still nascent in the country, and while there are World Class law firms catering to top-of-the-market clients like Investment banks, Private Equity or Venture Capital funds, financial powerhouses and multi-national corporations – there are very few, if at all workable, options for the common businessman, the SME manager or a startup founder. iPleaders began in 2010 to address this market with the aid of technology and education. iPleaders advocates that businessmen, including technology entrepreneurs can manage the majority of legal issues by themselves efficiently if they are equipped with basic knowledge and resources. A major focus area of iPleaders has been researching and developing resources through blogging, educational resources, workshops, and interactive software that entrepreneurs can use themselves as aid during decision making. The founders of iPleaders are graduates of the National University of Juridical Sciences (NUJS), Kolkata one of the top law schools in India and have worked at a leading corporate law firm in Mumbai specializing in the areas of Private Equity, Mergers & Acquisitions, Foreign Investment and Corporate Restructuring of several financial and technology companies.